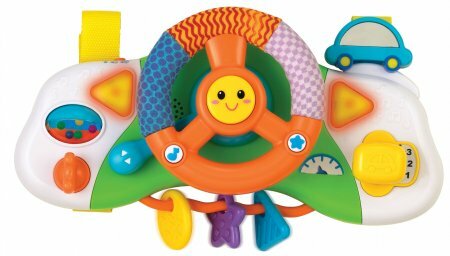 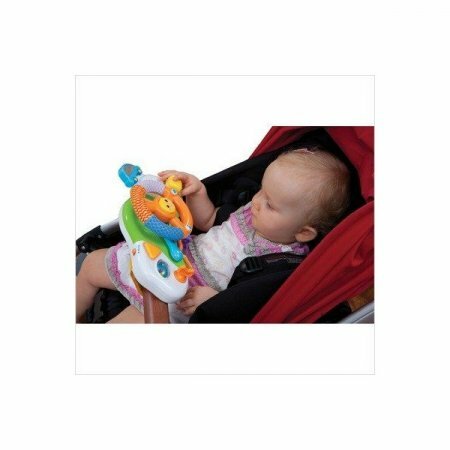 Bright and colorful car seat toy, comes with steering wheel and dashboard lights keeping baby entertained when traveling. 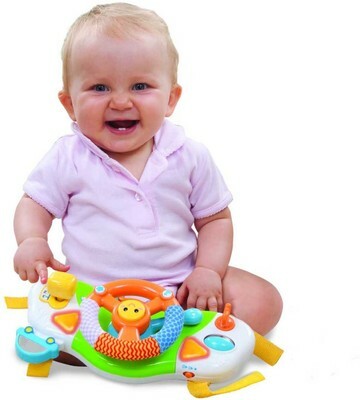 Variety of activites and sound effects will provide your baby with fun and entertainment. 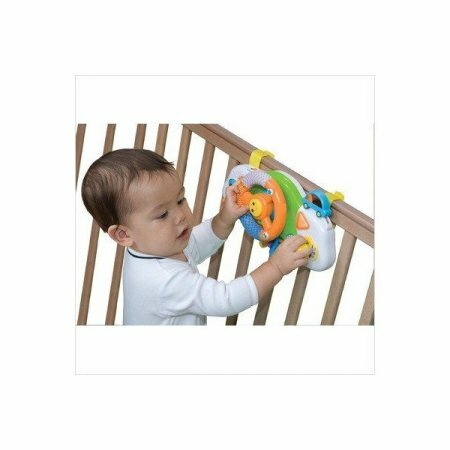 Also attaches to crib or stroller.